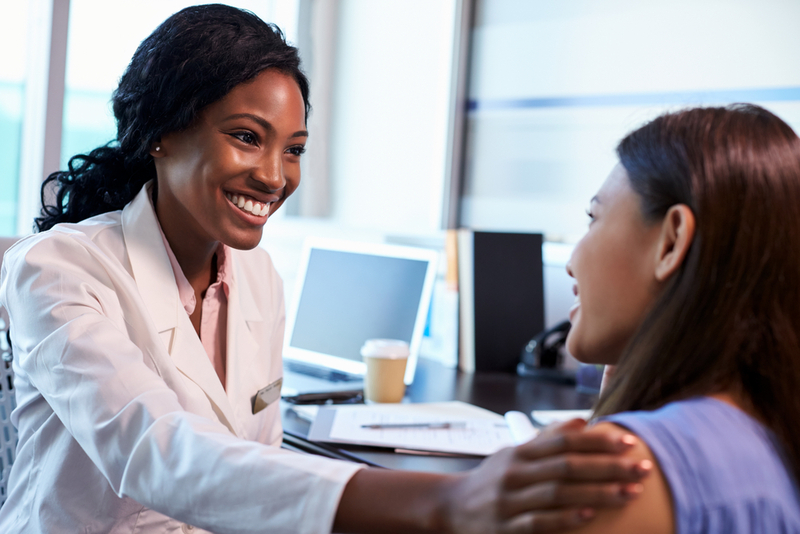 Mary, a patient recently diagnosed with a chronic illness, showed up to one of her first clinic appointments excited and a little scared to meet with her physician and discuss her treatment plan. With the help of the clinic’s specialty pharmacy software, TelemetryRx, a Pharmacy Liaison in that clinic was already aware that Mary would be coming in for an appointment that day so he sat down to meet with her and discuss the logistics of filling her prescription. While talking to this Liaison, Mary mentioned that she was having difficulty keeping track of all of her medications and insurance issues because she had 4 different doctors, including one for specialty care, for primary care, for headaches, etc. Fortunately, the Liaison explained that he could work with all of her doctors and nurses to eliminate the stress of refilling medications at different pharmacies. Instead, the Liaison arranged to have the hospital specialty pharmacy ship all of her medications together each month. Mary also revealed to her Liaison that her pharmacy routinely filled a 90 day supply of insulin and Victoza, and sent them to her weeks early, which overwhelmed her and took up too much space in her fridge. Additionally, Mary was also worried about getting a renewal on her insulin pen needles because she was running low and her prescriber was on vacation. Her Liaison spent almost an hour listening to all of her questions and concerns. As soon as he got back to his office, he sent out a request to have the insulin pen needles refilled. He called Mary the next day to let her know that she would have the pen needles in two days. Mary was ecstatic! She spent another 20 minutes talking on the phone with her Liaison about her medications and the help she needed with them. When Mary came in on a Friday for a follow-up appointment, she was able to pick up her new medications and sat down with her Liaison to talk about her insurance issues as well. She was amazed at the amount of time her Liaison spent with her and how he was able to jump into action immediately. Mary is grateful for having this Liaison as an integral part of her care team now and is looking forward to having the hospital specialty pharmacy take care of all of her medication needs, refills and paperwork moving forward. Purpose-Built Specialty Pharmacy Care Solution: TelemetryRx enables the specialty pharmacy care team to improve their efficiency by 83% and increase patient enrollment rates by 46% by streamlining and automating time consuming administrative tasks. TelemetryRx speeds up patients’ time to therapy by 40% compared to mail-order specialty pharmacies, which translates to better patient outcomes and cost savings for the health system. To learn more about TelemetryRx and its’ role in helping health system specialty pharmacies deliver high-quality care, see Pivotal’s case study and this short video explaining how the software works within clinics.